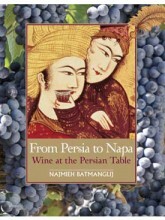 NAJMIEH BATMANGLIJ has dedicated her life to Persian food and Iranian cuisine. 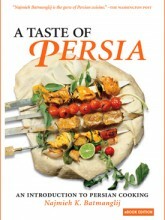 She has been hailed as “the guru of Persian cuisine” by The Washington Post, and has spent the past 35 years adapting authentic Persian recipes to tastes and techniques in the West. 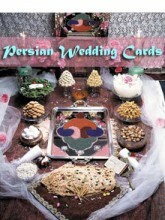 The 25th Anniversary Edition of her book Food of Life: Ancient Persian and Modern Iranian Cooking and Ceremonies was called “This summer’s most coveted tome” by Vogue. 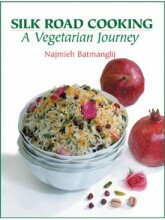 Her Silk Road Cooking: A Vegetarian Journey was selected as “One of the 10 best vegetarian cookbooks of the year” by the New York Times; and her From Persia to Napa: Wine at the Persian Table won the Gourmand Cookbook Award for the world’s best wine history book of 2007. 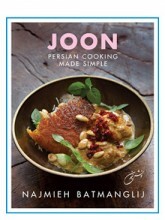 She is a member of Les Dames d’Escoffier and lives in Washington, DC, where she teaches Persian cooking and Silk Road cooking, and consults with restaurants around the world. 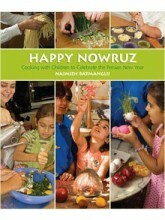 Her most recent book is Happy Nowruz: Cooking with Children to Celebrate the Persian New Year. 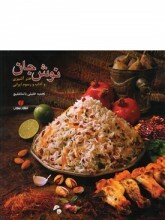 Her web site is www.najmieh.com. 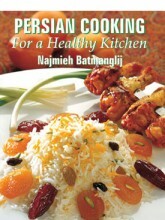 By Najmieh Batmanglij In Cooking Tagged In Cookbooks, Cookbooks by Najmieh Batmanglij, Cuisine, Food, Healthy, and Low Fat. 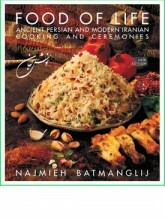 By Najmieh Batmanglij In Cooking and Greeting Cards Tagged In Greeting Cards.